What are the new Sponsorship Changes for 2018? With all the speculation about the anticipated changes to Partner Visa rules, we address questions people are asking and offer some explanation, particularly for Sponsorship changes, in this post. When are these changes to Partner Visas going to happen? First off, the proposed changes to the Partner Visa are currently before Parliament. They have not have not been enacted into law yet and we don’t know when they will be applied. How will these changes affect my Partner Visa Application? Good question! Although our answer is a bit speculative at the moment, let’s start by explaining the changes we think are about to happen. The Department of Home Affairs is seeking to separate the Sponsorship and the Visa application. This will make it a ‘two-step process’. In effect, the Sponsor, who is either an Australian citizen or Permanent Resident, must now lodge an application to BECOME a Sponsor. A person cannot automatically qualify as a Sponsor. As part of the approval process, the potential Sponsor will need to undergo Police Checks to satisfy the Department of Home Affairs of his/her suitability to be granted sponsorship. By doing this, the department hopes to protect vulnerable Visa Applicants who may be at risk of violence or abuse from their sponsor or family member. In addition, enforceable penalties will result if the Sponsor fails to comply with the conditions of being a Sponsor. Once the Sponsor has been officially approved, the Visa Applicant can then begin the Partner Visa application process. How would this affect me if I’m applying OUTSIDE of Australia? If you’re applying for a Partner Visa from outside of Australia, it’s not really a big deal. You’re in your home country, your Sponsor will submit the request for approval and as soon as it is approved, you can go ahead and apply for your Partner Visa application. How would the proposed changes affect me as the Partner Visa Applicant if I am applying INSIDE Australia? OK, this situation is the one that, we think, is a bit of a concern. We have seen situations where the prospective Partner Visa applicant has arrived in Australia on a Visitor Visa and plans to be with their Australian partner for the long term. This applicant only has three months for the Partner Visa to be lodged or you might be in Australia on a Student or Employer-Sponsored Visa that has an expiry date. 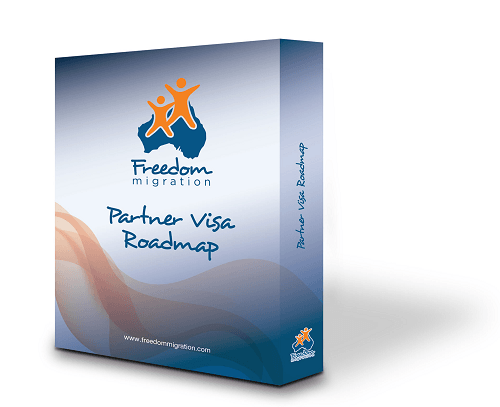 Either way, the next step for you would be to lodge the Partner Visa application. Our concern is that until the changes have been trialed, we don’t know how long the process to Sponsorship approval will take. If the Sponsorship process takes four months or even six months to approve, the time delay may exhaust the validity of the Visa and you must depart from Australia before the expiry date. Once you have left the country, this will change the way you are able to apply for the Partner Visa as you will now be applying OUTSIDE of Australia. This delay could result in periods of separation and all that entails for you as the Visa Applicant and your Sponsor. So what can I do about it right now? Our advice is that if you are currently in Australia, your Visitor Visa will shortly expire and if you meet the requirements to lodge a Partner Visa, DON’T DELAY. Get expert advice and lodge your application! We would hate to see you in a position where the Sponsorship hasn’t been approved yet, your Visa expires and you are forced to depart from Australia. If you are unsure, it really is best to get one-on-one advice from a Registered Migration Agent. In conclusion, all the answers will only be known once the rules come into effect. Our advice is to be cautious. Avoid being in a position where the new legislation would have a negative impact on you and if you are already in a position to lodge a Partner Visa, get it in! Please feel free to comment below, we love getting your feedback. We read all your remarks and will reply if we can answer any questions. We may even use your comments to form the next blog topic. How can I lodge the 801 visa application inside of Australia within the time allowed (before the three months of the visitor visa is expired) if the sponsorship hasn’t been approved yet? If I have to change my application and apply outside of Australia because of this new ruling then how am I supposed to be able to spend time with my husband and establish the de facto relationship rule? We’ve been together for over a year and we have a domestic relationship certificate that is almost a year old but we’ve only been able to spend one month together. How can we meet the requirements of the de facto relationship despite our legal Australian marriage if the conditions don’t exist for me to spend any extended time in Australia?